MUSIC CD. A Vertical Offering of Praise & Worship featuring 11 original compositions. Artistically blended and Eclectic Styles of Urban Contemporary, Gospel, Modern, & Inspirational. 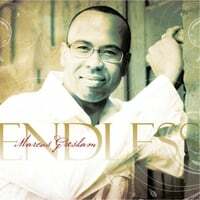 A unique and original Christmas Composition by Marcus Gresham. Greg Boggs and Russ Jones join Marcus on this dramatic portrayal of the Wisemen's story. This music single is dedicated to one of Gresham's friends and mentors, Jean Dinoff, for her many years of faithful service.